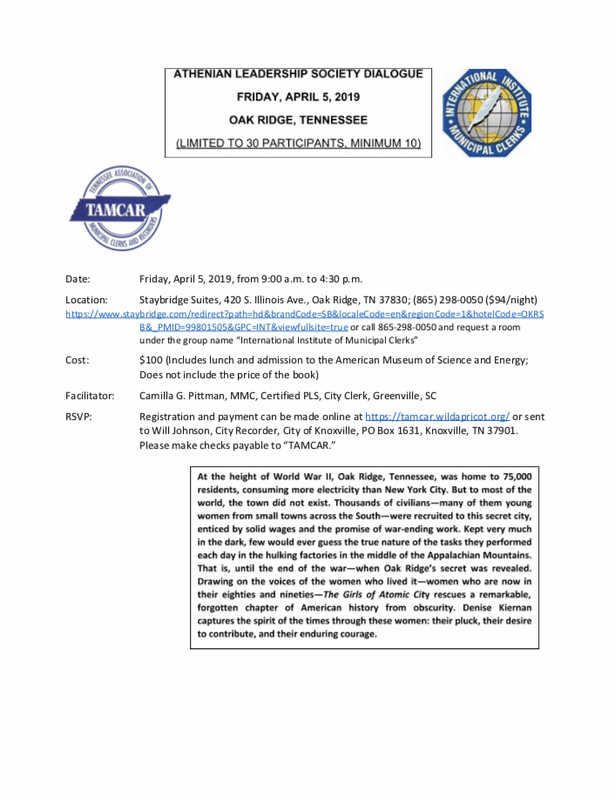 I just wanted to share with you guys that Tennessee will be hosting our first Athenian Dialogue in Oak Ridge this April. We are super excited to have Camilla Pitman facilitate The Girls of Atomic City…in the Atomic City! 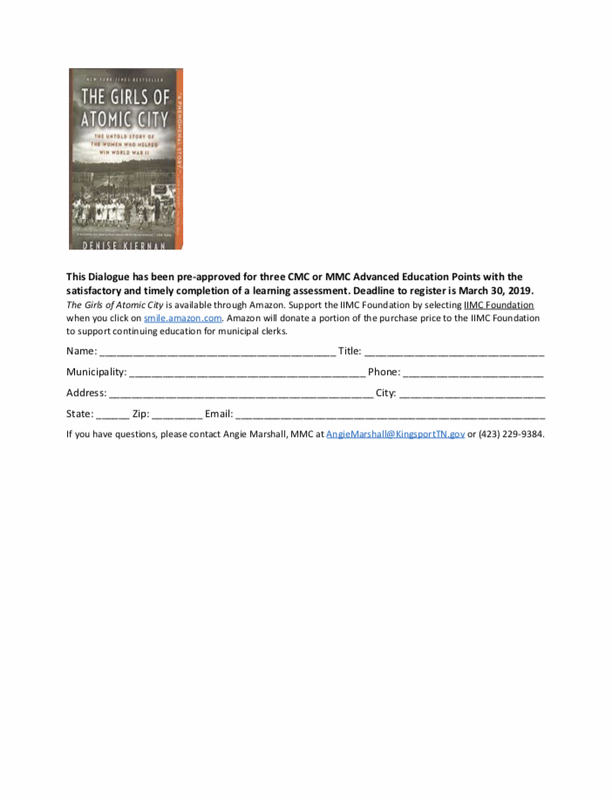 Please pass along to your city clerks!